After God created man he gave him dominion over every living thing. He gave man creative freedom to rule over his creation, to work the ground, to name the animals and by chapter four we read that a city is built, musical instruments have been made and are played, livestock are farmed and bronze and iron tools are forged. All this and much, much more began in the world within the lifetime of Adam! What an amazing thing it must have been for Adam to see his blank canvas subdued and transformed into a culture; producing culture is exciting! And here we are today still in the business of producing culture. Whether we like it or not as humanity works, plays, builds, cooks, travels, and paints pictures we are producing culture. Cultures differ around the world because people differ. In the 1840s, Thomas J. Smith of London decided to develop his bon-bon sweets which he sold in a twist of paper. As sales of his bon-bons slumped, Smith began to come up with new promotional ideas. His first tactic was to insert mottos into the wrappers of the sweets like in fortune cookies, but this had only limited success. Inspired by the crackle of a log as he placed it on the fire, Smith decided to add a crackle element to his sweets by incorporating a banger mechanism. The only problem with this was that the size of the paper wrapper had to be increased which wasn’t practical for the packaging of a small sweet. 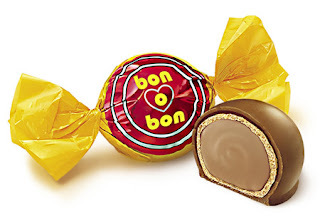 Eventually the actual bon-bon was dropped and replaced by a small gift. The new product was initially marketed as the Cosaque but the "cracker" soon became the commonly used name as rival varieties came on the market. And so was born an essential element of British culture – the Christmas cracker. Everything we do churns out new culture which is unique to our circle of influence. In South America most people have never heard of a cracker and yet here in Britain it’s something we assume will appear on the Christmas dinner table. This is true of our music, our sport, our tea drinking habits; there is cultural diversity all over the world. But we have a choice. We are not mindless machines; we are mindful human beings. We will inevitably produce culture but we can choose what we produce. It might be that we continue to pump into the flow of the culture in which we live, or it might be that we are counter-cultural and what we do stands against the current. Whether you are based in an art college, a university, or an office, they all have a culture of their own which has been produced by the people of that place over years. Do you ask questions of the cultures you live in? Are you contributing in a Godly way to your cultures, or are you just going with the flow? Are you mindful of what you paint, sing, dance, design? Cultural history is easily read through the art of the time so we really do have a great responsibility as the current generation of Christians making art. Let us have dominion, make work and live lives that produce a cross shaped culture. I Hate Reading but I Want to Read!